One of the people who inspired me along my path of becoming a photographer died at the young age of 34. 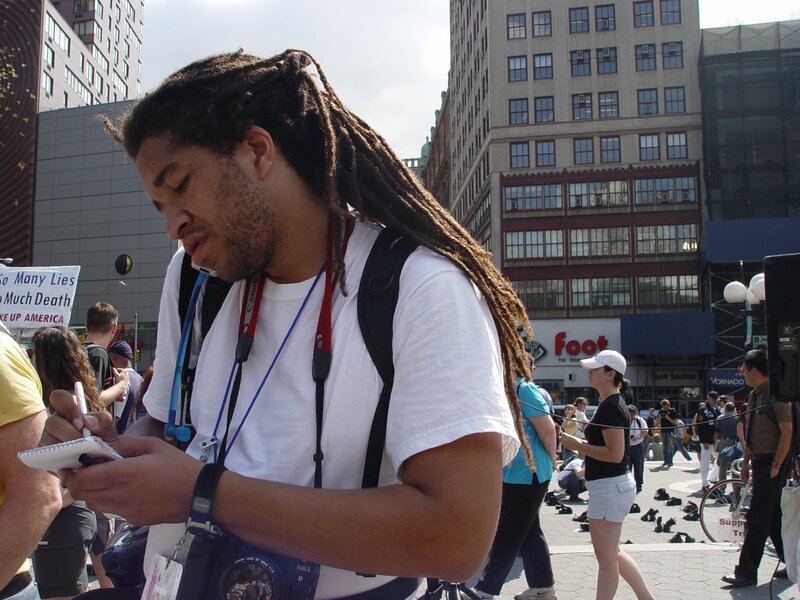 While I was in the US last week I found out that my friend Mpozi Mshale Tolbert died two years ago after collapsing in the newsroom of the Indianapolis Star newspaper. Before I met him I was already familiar with his work as he had a ‘photo of the week’ in the Philadelphia City Paper. The first thing I would do when I got my copy of the paper was look for his photo. Then one night I was having a drink at Dirty Frank’s bar and chatting to this enthusiastic young man with dreads who, after about an hour of conversation, introduced himself as Mpozi. He was one of the first people I had met who made a living from photography; and he was only 20. I can only hope to be as successful and prolific as Mpozi was in his short life. At 16 he sold his first photo to a newspaper, during his early twenties he was an Associated Press staff photographer and at the age of 26 he secured a staff job at a major city daily newspaper, the Indianapolis Star. 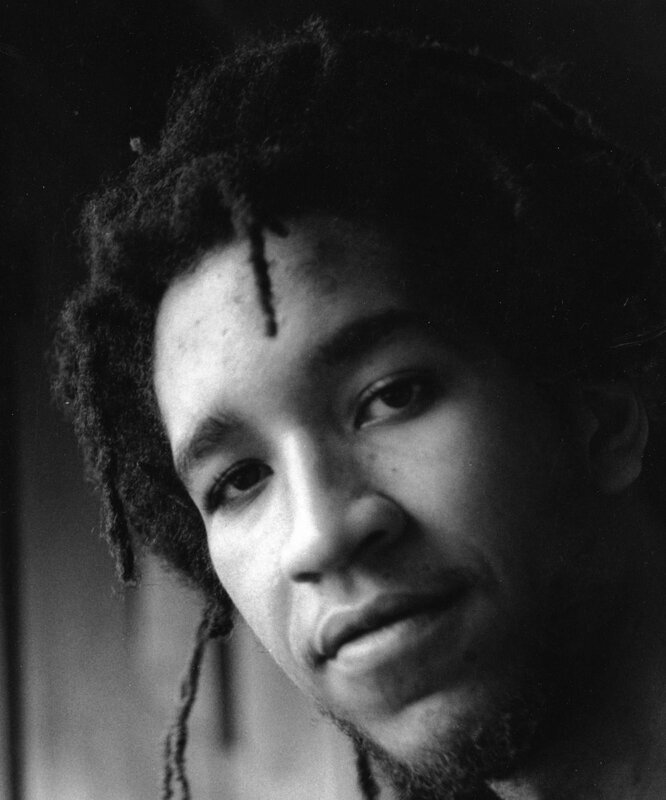 He was also a good friend of the members of the Philly hip hop band the Roots and documented their rise to prominence throughout the early 1990s. I took the above black and white portrait of him back in the early 90s when I was taking a photo class at the University of the Arts in Philly. When I showed it to him he liked it so much that he offered to buy a copy from me. I declined payment as his appreciation of my work was worth more than money. I took this photo the last time I ran into Mpozi in Manhattan on Union Square during the Republican National Convention in 2004. He was busy shooting a protest while fielding calls to photograph a delegate to the convention. Despite being very busy he greeted me with a big hug and lots of questions. Upon parting he said he would send me a mix of some of the Bossa Nova music he was spinning as a DJ. I sorely miss his presence on this planet but am so glad to have known him. I pledge to lead my life to its fullest – as I know Mpozi did. And if I don’t then it will be a waste. Have a listen to this audio memorial to Mpozi that was broadcast on NPR shortly after his death.